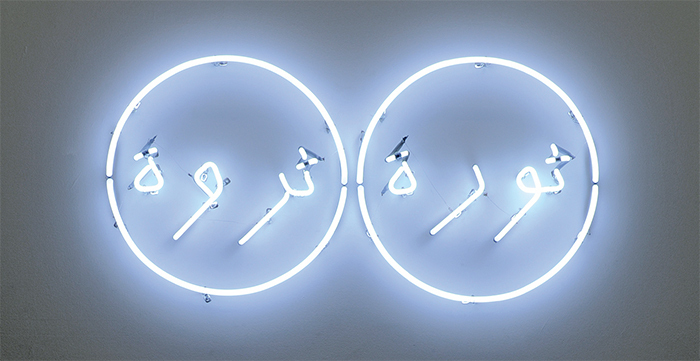 Taysir Batniji, Untitled (Imperfect Lovers), 2013, neon, 41 × 19 3/4 × 41 × 2". Anna Boghiguian is an artist with a wild style and singular vision, yet her dense, visceral drawings and scattershot installations play surprisingly well with others. In 2012, she shared a room with Charlotte Salomon at Documenta 13 in Kassel. 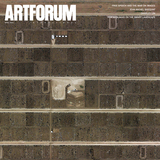 The next year, she joined Goshka Macuga for an exhibition at Iniva in London. For her first major show in Beirut, Boghiguian (an Armenian-Egyptian nomad presently based in Cairo) was paired up with Taysir Batniji, a Gaza-born, Paris-based artist who might seem diametrically opposed to her in every way.